Bordeaux; The Color of the… Month – The Fashion and Mind…Travel! It’s almost September. The autumn is coming! Yay!!!  ( I guess not everyone is very excited about it ) But we can’t avoid it , people! It is what it is. And we have to accept it or even tolerate it. Well, to tell you the truth I just  it!! This color is casual, professional and dressy. You can wear it everywhere and everyday!! This autumn Bordeaux have to be your new best friend! I haven’t persuaded you yet? This particular color looks perfect to everyone!! You are a Brunette? A blond? A redhead? You have pale complexion? Dark skin? It just doesn’t matter !! Believe me Bordeaux is for YOU !! Go for it!! You will never lose!! Take a look by yourself!! You’ll understand what I mean! I’m sure 100% that now you get it why I’m so obsessed with this color! Share with me your thoughts!!!! 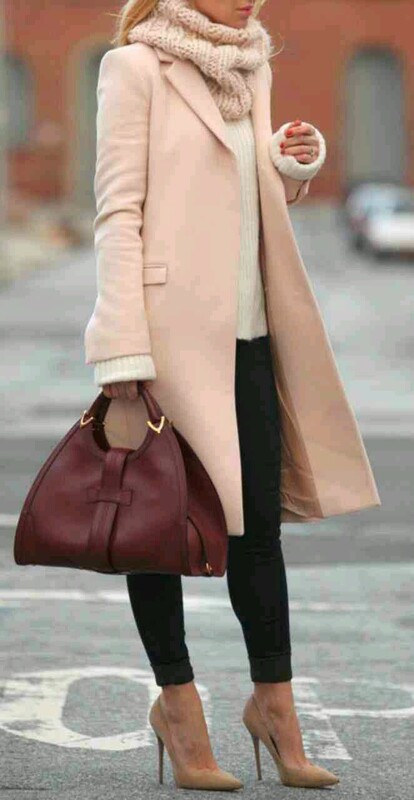 I love camel tones as well! And of course Black is the best for the A/W season! But if you want to try something different, then you should go for Bordeaux! I’m glad you shared your thoughts ! Keep reading! I’m sure you’ll fine some other great ideas! Hope I do find some more lovely ideas, thanks! YOu’re welcome! Be sure that i’ll check your blog out! <3<3 I can’t wait to read your posts! I love the colour! I think I’ll buy some clothes in bordeaux, I need a change on my wardrobe, fall/winter clothes most of them are grey/black I need a touch of colour there! I’m so glad you liked it!! I hope I inspired you!! Next Next post: The best autumn Outfit! !